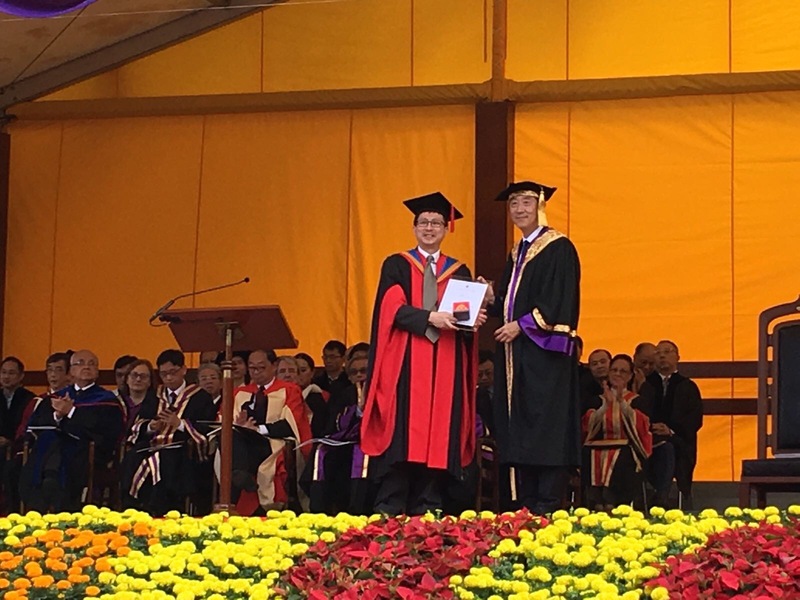 Jimmy Lee graduated on the Dean's Honours List with an Honours BMath degree, majoring both in Applied Mathematics and Computer Science, from the University of Waterloo, Canada, in 1987. He read his MMath degree in Computer Science in 1988 also from Waterloo. Jimmy then moved to the University of Victoria, Canada, and completed his doctoral study in 1992 under the supervision of Maarten van Emden in the area of constraint logic programming. During his graduate studies, he was involved in research projects funded by IBM (Canada) and the Canadian Institute of Robotics and Intelligent Systems. 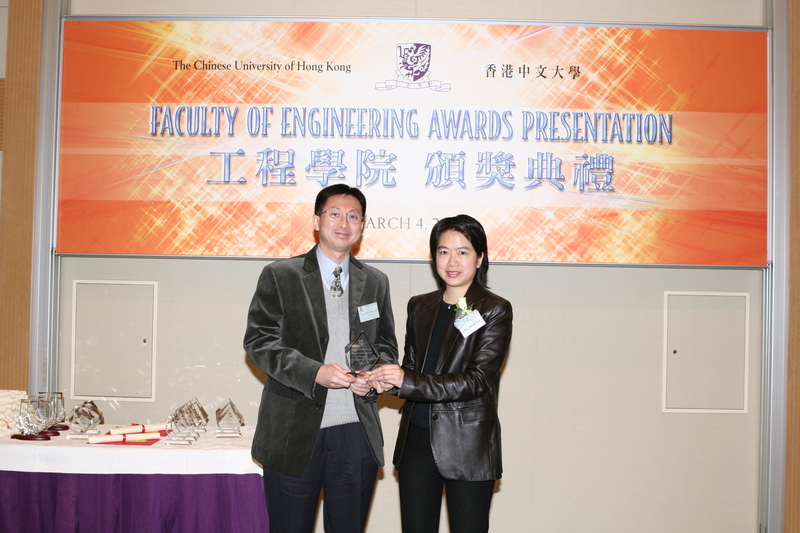 Upon graduation, Jimmy returned to Hong Kong and joined The Chinese University of Hong Kong, where he is now Assistant Dean (Education) of the Faculty of Engineering, Program Director of the Master of Science in Financial Technology programme, Professor in the Department of Computer Science and Engineering and Professor (by courtesy) in the Department of Systems Engineering and Engineering Management. He was Graduate Division Head during 2008-11 and in charge of the Department’s curricula and Teaching and Learning matters during 2011-14. Jimmy's research focuses on the theory and practice of constraint satisfaction and optimization with applications in combinatorial optimization, scheduling, and resource allocation. In particular, he is interested in problem modeling, stochastic local search, symmetry breaking, global constraints, and over-constrained problems. His latest contribution is the framework of Infinite Stream Constraint Programming (see Publications). See the Inverted Pendulum Robot and Flying Quadrotor in action using a controller synthesized by the framework. During the 2000s and early 2010s, he researched also on novel Web-based learning platforms and accompanying pedagogies, particularly in the design and development of educational games (take a look at Tong Pak Fu and Chou Heung: the Probabilistic Fantasy, Farmtasia, and Learning Villages). He was the Associate Director (Research and Development) and then Director of the Center for the Advancement of Information Technology in Education during 2004-12. 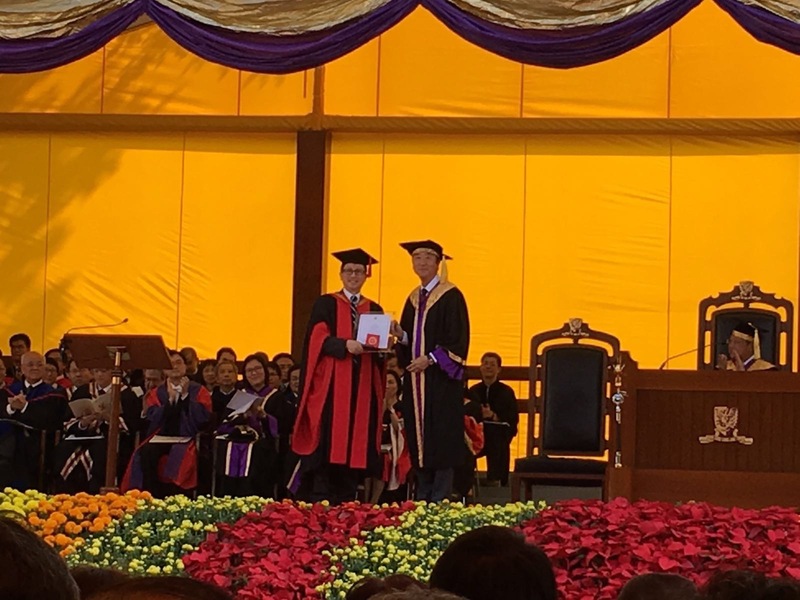 Inspired by his many former good teachers from elementary school to universities, Jimmy received the University Education Award, which is the highest honour bestowed upon contributions to Teaching and Learing at the University, in 2017. Check out the award sharing video. 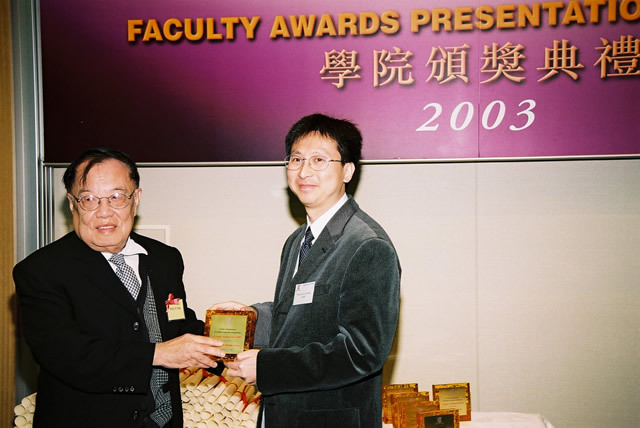 He was recipient of the Vice-Chancellor’s Exemplary Teaching Award in 2005 and again in 2016 (being the only person in the Faculty of Engineering receiving the Award twice), and the Faculty of Engineering Exemplary Teaching Award for the academic years 1998-99, 1999-00, 2000-01, 2002-03, 2004-05 and 2014-15. 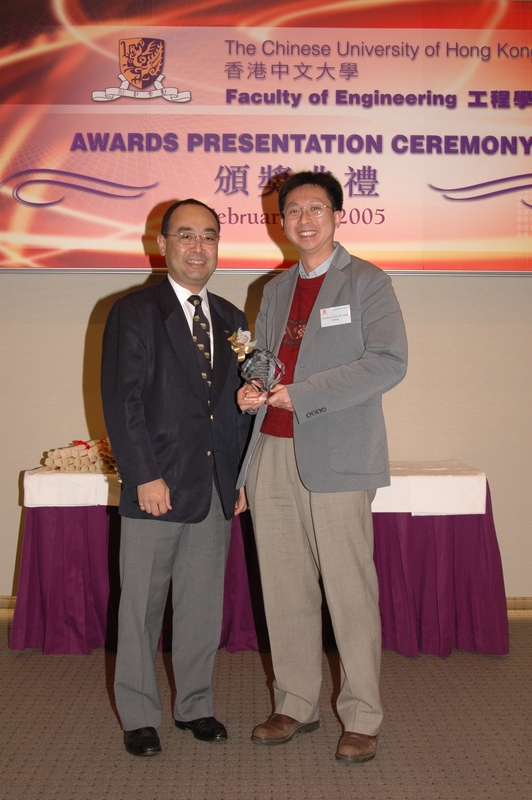 He was also recognized for his outstanding services with the Faculty of Engineering by the Faculty Service Award for 2003-04. NEW! In Collaboration with Peter Stuckey of the University of Melbourne, Jimmy has produced two MOOCs on “Basic Modeling of Discrete Optimization” and “Advanced Modeling of Discrete Optimization”. The MOOCs are designed and developed with the Fable-based Learning pedagogy, and feature both a Chinese and English versions. Learners will walk through an interesting fantasy based on the famous novel, Romance of the Three Kingdoms (三國演義), with the teachers, while learning advanced computing technologies to solve difficult real-life problems. The MOOCs, available both in Mandarin and English, were launched on Coursera in January, 2017. You can take a look at the promotional videos (Mandarin and English) to find out more about the courses. NEW! The third and latest MOOC on “Solving Algorithms for Discrete Optimization” is out. You can check out the promotional videos (Mandarin and English). 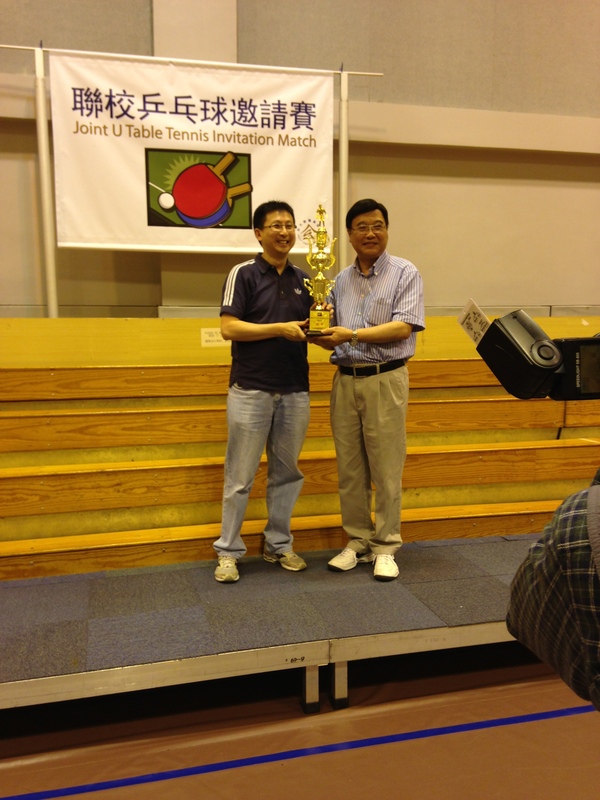 Jimmy is a Fellow of Hong Kong Institution of Engineers. 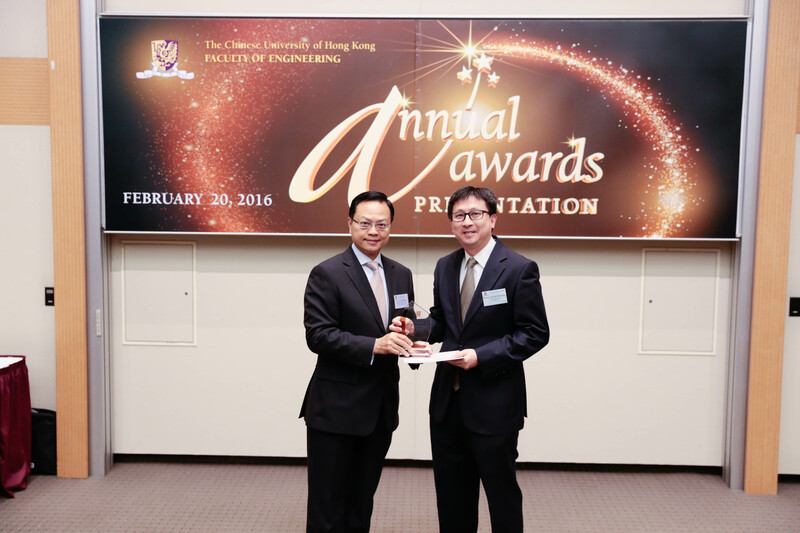 He was a Convenor of the Standards Assurance Sub-Committee, Hong Kong ICT Awards during 2010-16, and is currently a member. He is also an appointed member on the Steering Committee on Strategic Development of Information Technology in Education and the Steering Committee on Selection, Quality Assurance and Review for the e-Textbook Market Development Scheme, Education Bureau, Hong Kong SAR Government. Besides being active in local community services, Jimmy is an Associate Editor of the Journal of Artificial Intelligence Research (AAAI Press), and on the editorial boards of Artificial Intelligence Review (Springer), and Research and Practice in Technology Enhanced Learning (World Scientific). He was on the editorial board of the CONSTRAINTS journal (Springer) during 2009-14 and of the Journal of Discrete Algorithms (Elsevier) during 2005-14. He was a founding editor of Constraint Programming News with Eric Monfroy and Toby Walsh. Jimmy was an elected member of the Executive Committee of the Association for Constraint Programming during 2006-09, and served as the Secretary of the Association from 2006 to 2012. He is a Program Vice-Chair of the Sub-Conference on Learning Science and Computer-Assisted Collaborative Learning of GCCCE 2019 and a Senior PC member of 28th International Joint Conference on Artificial Intelligence (IJCAI 2019). Jimmy was the Program Chair of CP 2011, held in beautiful Perugia (see wonderful photos taken by Helmut Simonis) and organized by Stefano Bistarelli. I know I am a “well-known” scientist, but didn’t expect to be inducted “involuntarily” to be a member of the EU Academy of Sciences even when I didn’t reply to the invitation. Ignoring it didn’t seem to work since I received a reminder! Not sure if I should add that to my CV. Jimmy considers himself a fairly athletic person. 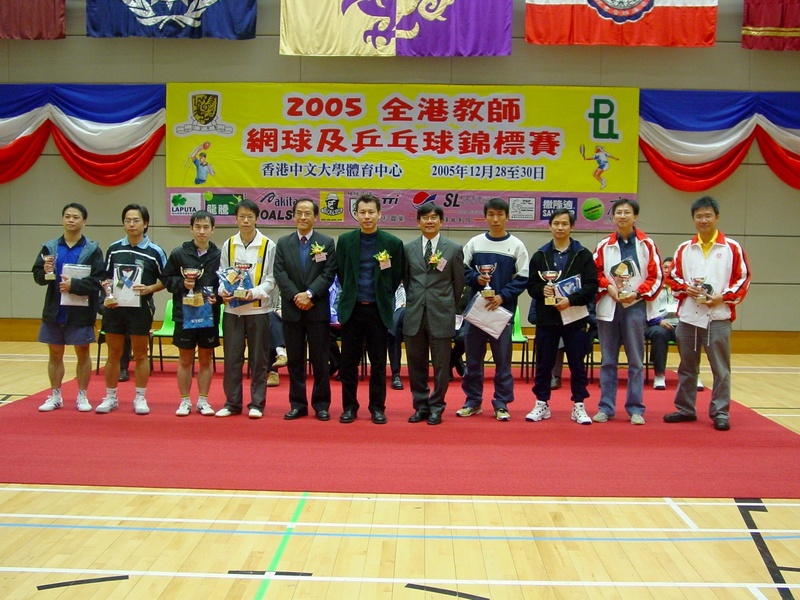 Besides being a mediocre table-tennis and soccer player, Jimmy started long distance running in year 2000 as a hobby to torture his body and clean up his soul (if there is one). 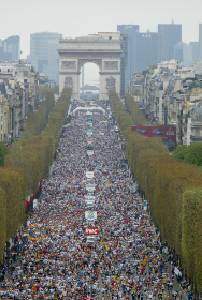 His immediate next goal is to finish a full marathon under 4 hours (achieved his personal best of 4 hours 4 minutes 33 seconds painfully at the 29eme Marathon International de Paris), although his running career is in semi-hibernation now. 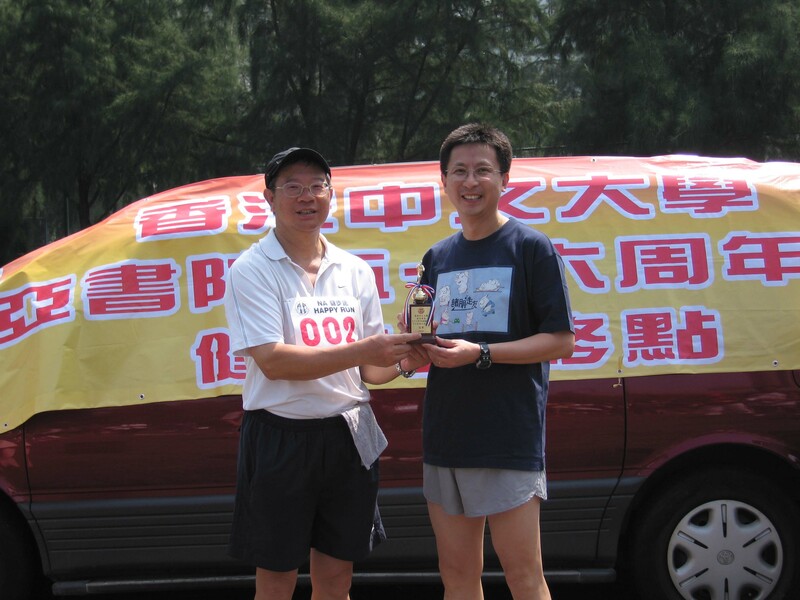 He also claimed the “Fastest Old Men” title (Staff Category) at the 2005 New Asia College Happy Run event (can you find me there? 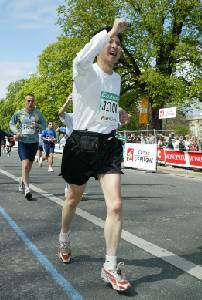 ), dashing approximately 7.5K from the New Asia College to the Prince of Wales Hospital. 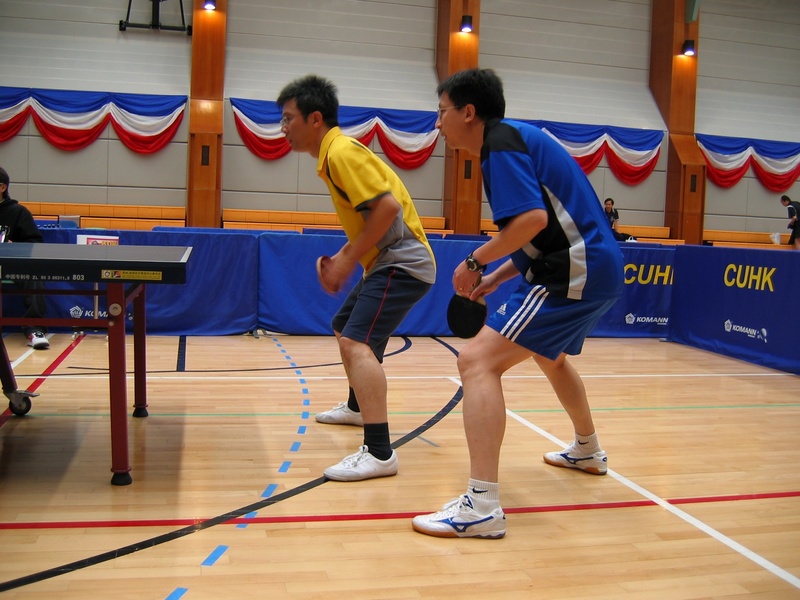 Together with his good and long-time partner, Ronald Chung, Jimmy captured the 2nd Runners-Up in the Men's Double Table-Tennis Event of the 2005 Hong Kong Teacher Tennis and Table-Tennis Competition. 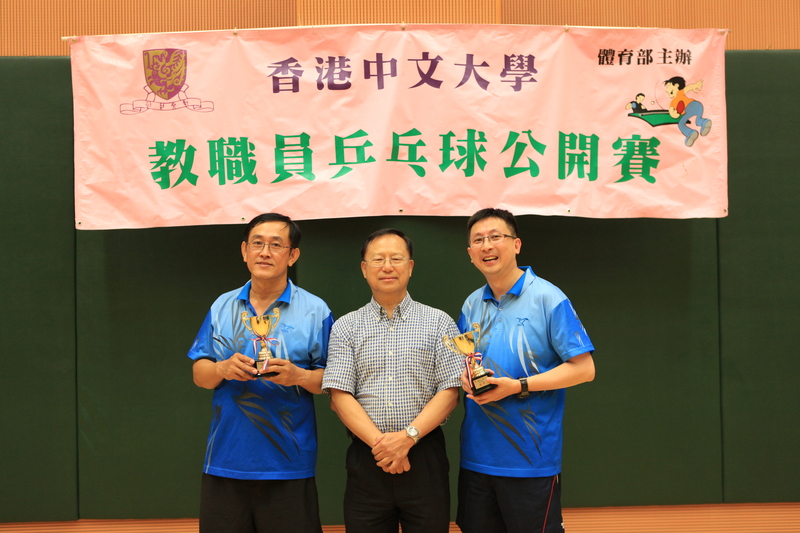 Jimmy reached the peak of his totally-non-professional career by partnering with CC Ah Lung to claim the championship in the Men’s Double Event of the CUHK Staff Table-Tennis Tournament in 2011 and again in 2013. 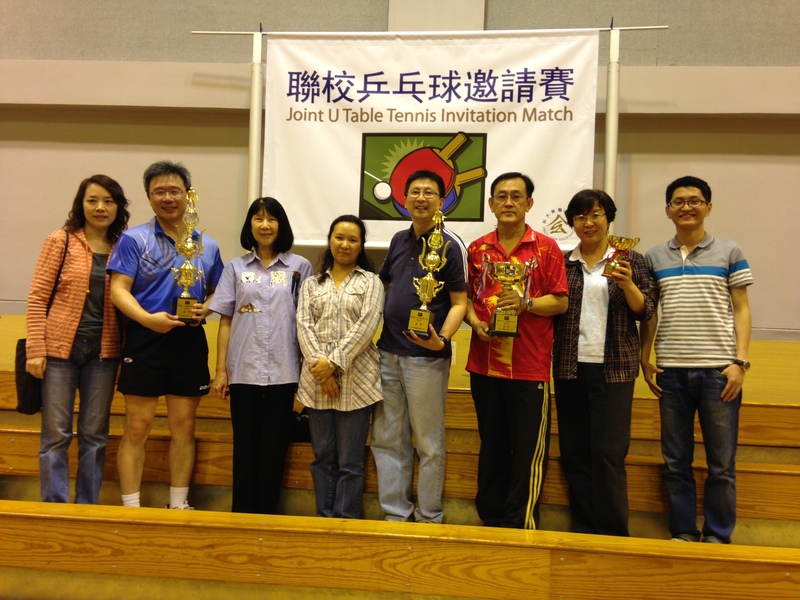 He also captured the 4th place in the 2013 Joint U Table Tennis Invitation Match, in which the CUHK team did very well. 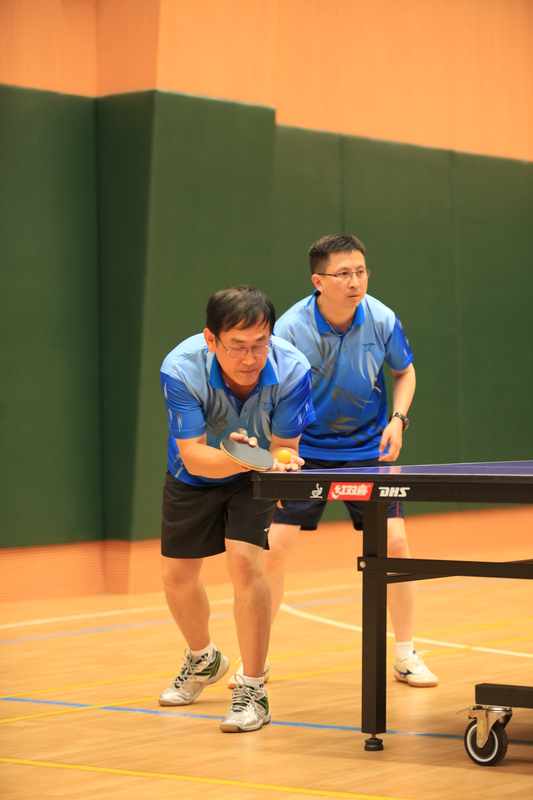 Look at the “angry” player in action at the 2011 Hong Kong Teacher Table-Tennis Competition, in which our CUHK team captured the team championship. On the social side, Jimmy enjoys alcohol sampling (see the pretending connoisseur in action) and random rumbling. Jimmy is fortunate to have many good friends and colleagues. Besides being good companions to Jimmy in many activities, they care also about his spiritual behavior and purity with K.H. Wong presenting him the nice t-shirt. His good colleague, K.H. Lee, gave him a bottle of ultimate sports drink for marathoners (a.k.a. 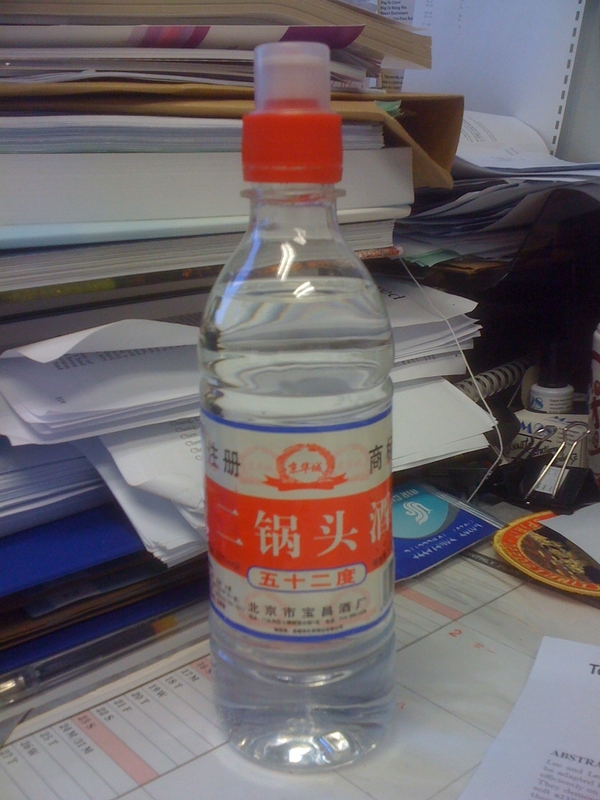 Chinese vodka) to ease his training pain. 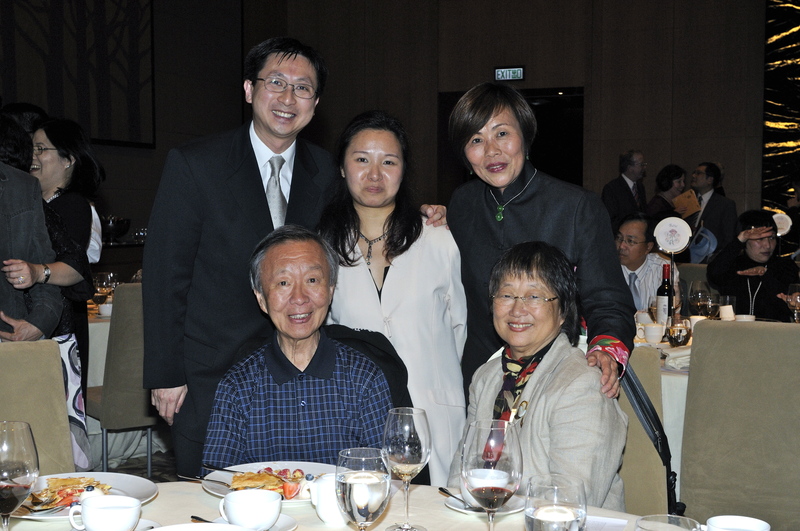 Jimmy and his wife (and another friend) had the pleasure of taking this photo with Prof. Charles Kao and Mrs. Kao, 2009 Nobel Laureate in Physics, on March 27, 2009 (half a year before the prize was announced), at the 20th Anniversary dinner of the Chinese University Women’s Organization (CUWO). If you are bored, take a look at some of the quotes, jokes, and writings and proverbs that Jimmy has collected over the years (some in Chinese). Please share this present with all. Also, this Management Lesson would certainly benefit you for a lifetime. 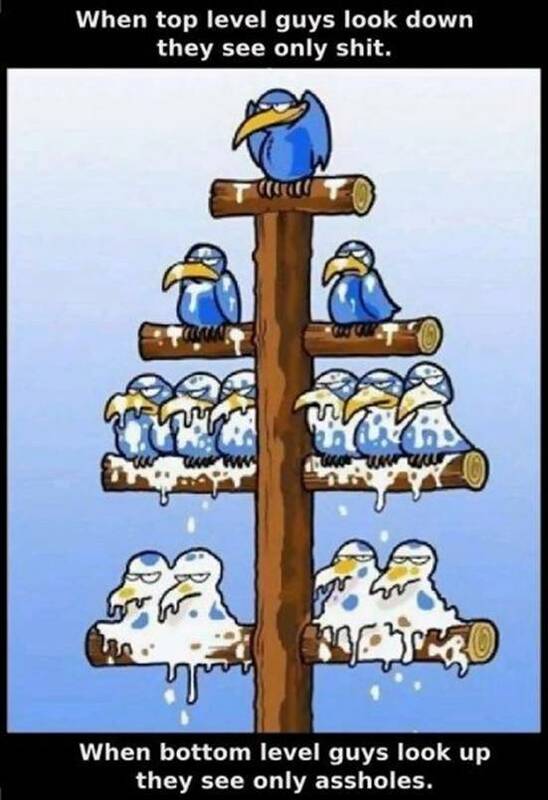 What is the truth in the corporate world? It depends on the viewing angle. This amazing piece relates coffee, coffee cups, and life (read it even if you don’t like coffee). If you are male, don’t miss this Cautionary Tale for Men (in Chinese) which teaches us all an important lesson. Everyone has parents, and everyone should read this (in Chinese). We don’t want to be the cause of a heart-attack (in Chinese), do we? You may change your personal philosophy after seeing this Tibetian Monks’ sand art (in Chinese). 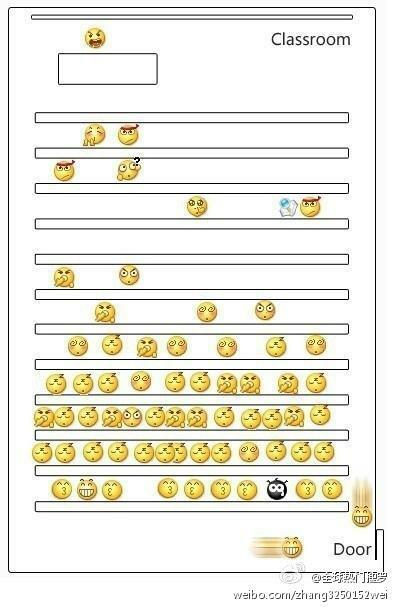 Are you upset today? 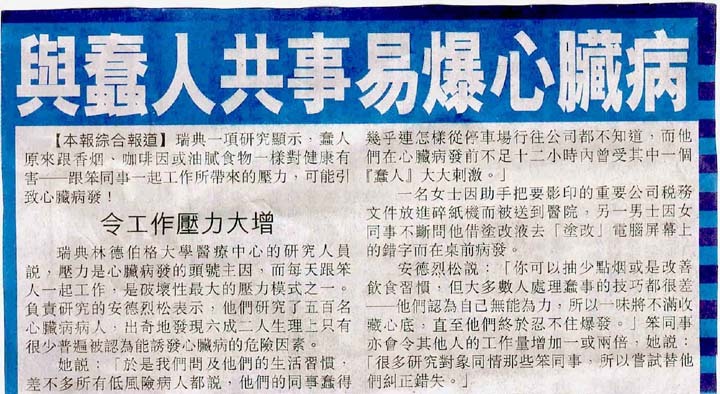 If so, read this (in Chinese). The commencement address by Steve Jobs at the Stanford University tells the making of a true pioneer. Are you the ants in this fable (Chinese and English)? If you are nostalgic about Hong Kong, don’t miss this wonderful photo collection of Hong Kong dated back to 1946 (captions in Chinese). How about an 8-minute video (narration in English) of 1937 Hong Kong? This (in Chinese) will soothe you from the midlife crisis. Jimmy teaches, and this is what his classroom is like. Jimmy researches, and this is academic freedom. 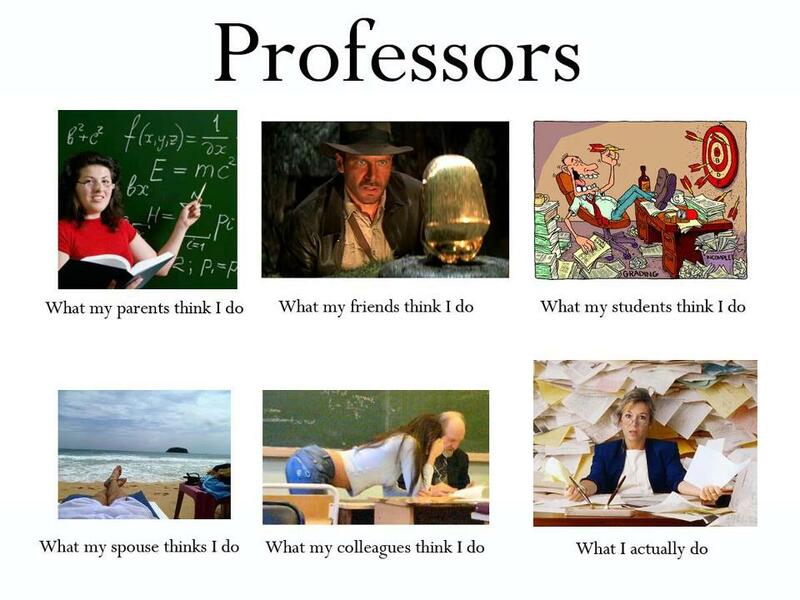 Jimmy is a professor, and that’s what others think of him. 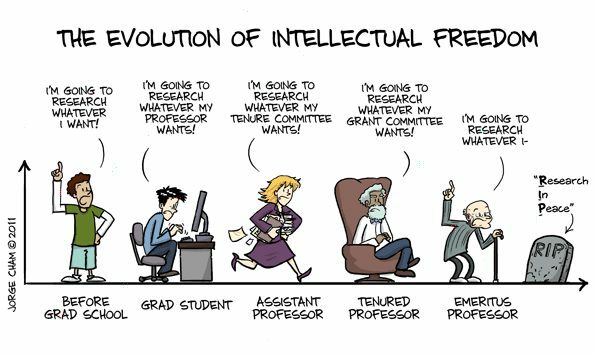 Jimmy learns a lot from EWD1110, in which Dijsktra commented on the unhealthy direction that the academia is heading. 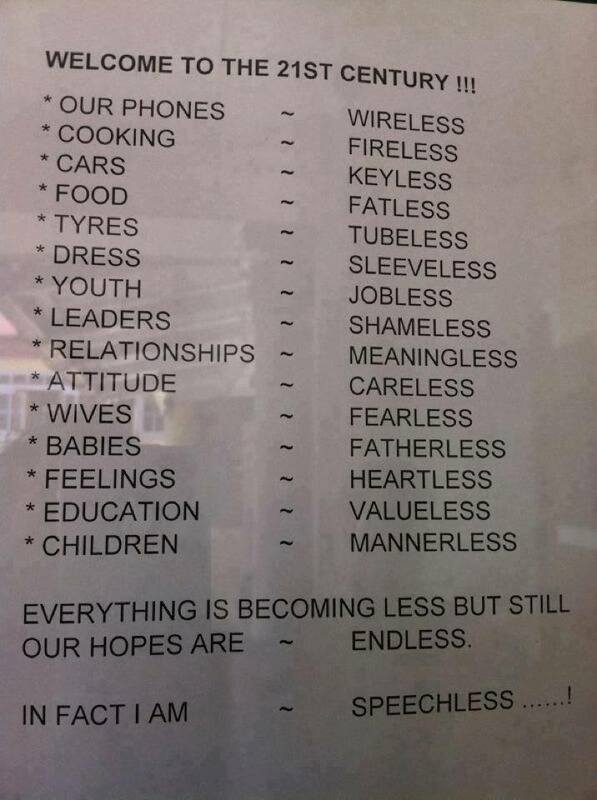 Believe it or not, more can become less. After reading this, Jimmy is speechless too. 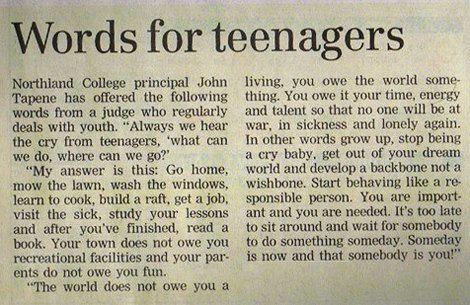 Kind words for (big and small) teenagers. Jimmy hopes that you will enjoy and learn from his collection as much as he did.